Yiannakis Panayiotes - Ballas, Pelecanos & Associates L.P.C. 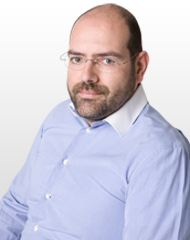 Panayiotes Yiannakis is a Senior Associate, a member of the Contracts Group, Economic Law Group and the Special Sectors Group. Panayiotes is a member of the Athens Bar Association since 1998 and entitled to argue cases before the Supreme Courts and all lower Courts. A graduate of Manchester Metropolitan University Law School (LL.B., Honours), Panayiotes earned a Master of Laws degree (LL.M) from the University of Bristol in European Commercial Law specializing in international trade law and in particular dispute resolution at the World Trade Organisation. At "Ballas, Pelecanos & Associates L.P.C. ", Panayiotes advises on contracts and Public Procurement Law with a particular emphasis on Defence Procurements. Panayiotes is actively involved in international arbitration cases handled by the firm on procurement disputes.